ABS-CBN News anchor Noli De Castro has found himself at the center of controversy once again after making some transphobic remarks about Jake Zyrus, the singer formerly known as Charice Pempengco. During the July 10 broadcast of his evening newscast TV Patrol, De Castro jokingly referred to the gender transition of Zyrus as “climate change," after his co-anchor Ted Failon mentioned the change in the singer's voice. "Ang tawag dyaan ay climate change. Madaming talagang nagbabago ngayon," De Castro said towards the end of the newscast. National Youth Commission (NYC) Commissioner Perci Cendaña, who chairs the agency's committee on social inclusion and equity, released a statement on Wednesday slamming De Castro's remarks about Zyrus, saying that sexual orientation, gender identity and expression (SOGIE) is no laughing matter, and should be treated seriously and with sensitivity. "When a popular broadcaster and former Vice President mocks a transgender man, he is not only offending LGBT (lesbian, gay, bisexual and transgender) people, he is also setting a bad example to his audience especially to the youth,” Cendaña said. “Such remarks reinforce discrimination against LGBT people. This is very alarming as young LGBTs are extremely vulnerable to stigma and discrimination. Bullying, ridicule, and abuse not only psychologically affect the youth, but also deter their development and growth," he added. For the NYC commissioner, De Castro, in the interest of promoting inclusivity and respect for diversity, should issue a public apology. “By rectifying the offensive and discriminatory remarks, the former Vice President will set a good example to his audience especially the youth. We urge him to be an ally for acceptance and equality,” he said. This wouldn't be the first time De Castro's on-air commentaries on TV Patrol made headlines. In 2015, he was heavily criticized for making a joke about the thieves who victimized a DLSU student, suggesting that they are Ateneans. 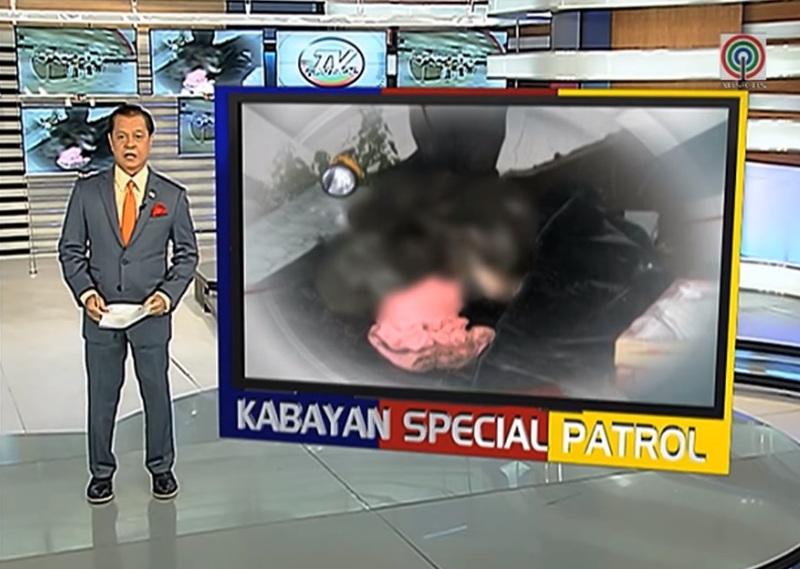 Further, in a live broadcast that same year, De Castro was blasted on social media for his awkward exchange with Umagang Kay Ganda host Winnie Cordero.